The Rehab Practice (Paediatric) is a paediatric physiotherapy clinic in Singapore located at the fringe of city that provides rehabilitation and physiotherapy services to babies, children and young adults. The Rehab Practice (Paediatric) is a convenient two MRT stations from NUH and one station from Holland Village. 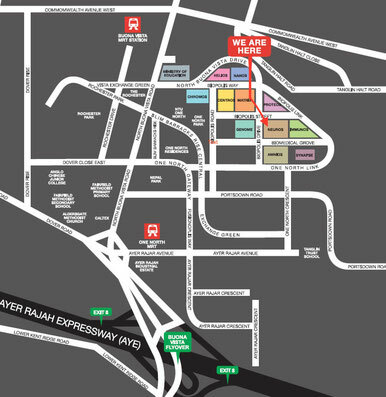 It is about a 8 minutes walk from either One North or Bouna Vista MRT station. The Rehab Practice (Paediatric) specialises in the care of children with a wide variety of needs. These includes rehabilitation for children with neurological conditions such as cerebral palsy, chest physiotherapy for pulmonary conditions and musculoskeletal conditions such as clubfoot and torticollis. 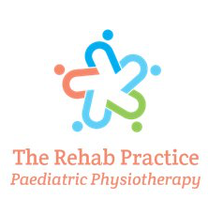 The Rehab Practice (Paediatric) also provides consultation for seating and sleep equipment, physiotherapy rehabilitation for children with multiple and complex issue eg oncology conditions, post operative rehabilitation and pain management for conditions such as complex regional pain syndrome and juvenile rheumatoid arthritis (JRA). For families with difficulty travelling to clinic, The Rehab Practice (Paediatric) also provides home therapy services and will bring along suitable equipments during home visits as necessary. At The Rehab Practice (Paediatric), the physiotherapists do not work in isolation. The physiotherapists strive to work closely with other healthcare professionals such as the neurologist, paediatrician, speech therapist and occupational therapist to maximise the rehabilitation potential. The Rehab Practice (Paediatric) strongly believes that play is the only job of a child and therapy are done through play! Equipped with lots of toys to motivate children, most of our clients are happy and look forward to attend physiotherapy. Our team of friendly and dedicated physiotherapists are committed in providing the best care for all children, while having fun at the same time (Keeping rehab fun is important to enhance learning!) The team of physiotherapists are also constantly on the lookout for the latest technology, eg wii games, kinect and treatment techniques that will enhance rehabilitation. Please leave a voicemail / SMS if we are unable to pick up your call and we will call you back asap.